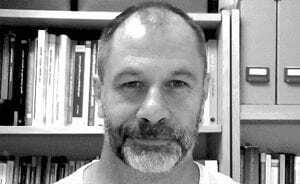 has been an ELT professional for 30 years and in more than fifteen countries in UK, Europe, Central America and Africa. As a consultant teacher trainer and advisor he has experience in numerous education development projects around the world including both pre-service and in-service programmes in Ethiopia, Laos, Djibouti and Mexico. He has designed and taught on UK under- and post-graduate teacher development programmes in the UK. For the past ten years, he has run teacher development seminars and workshops across Europe and the Middle East. His management experience includes three years as Director of Operations for a group of language schools in the UK and Ireland, responsible for all academic, administrative, and HR functions of the organisation. He is the module leader of Management in Language Education and a trainer on the Trainer Development modules for NILE. His main professional interests are the processes of professional development, teacher supervision, and ELT management.